Discussion in 'News and Announcements' started by Yumi, Nov 7, 2018.
enereS and AquaMarine like this. How many time last the newbie promotion? Why is there no possibilities to transfer those boxes via dimensional Merchant ? Because you could abuse and keep them for more the 30 days on a character? The thing is i got the feeling that these boxes kills D grade market, and penalize returning players who had 40- characters... Unless there was no market anymore and they prefer people to start over? It's somewhat true, the D market has been hit by this, but is this a bad thing? Only on new servers does the D market shine, but on old ones it's pretty scarce. The boxes are a boost for new players to get over 40 fast and considering you get C grade expertise also, that means you can be part of the C market before you even reach 40. And yes, starting a new char would be easier and faster then if you had a very old one stuck in the D to C zone. Thanks for those packs. Really useful. It helps to get more ppl on server. 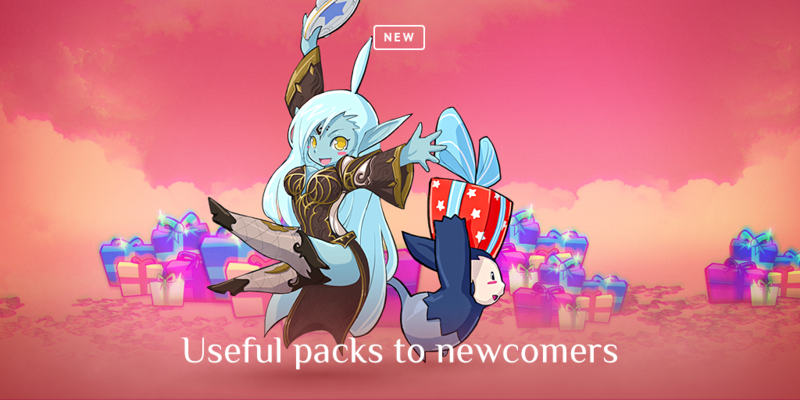 Do you consider any further updates for new starts? All new char created now take +10B coupon 54+; that happen until 10/04 or forever?